General fishing report for March 15, 2019. Hello fishing report readers, with our sudden emergence of spring, I guess it’s time for another year of fishing reports. Alas, not much to report on the actual fishing scene. Things have been pretty locked up until just recently and we are just now getting out and poking around. 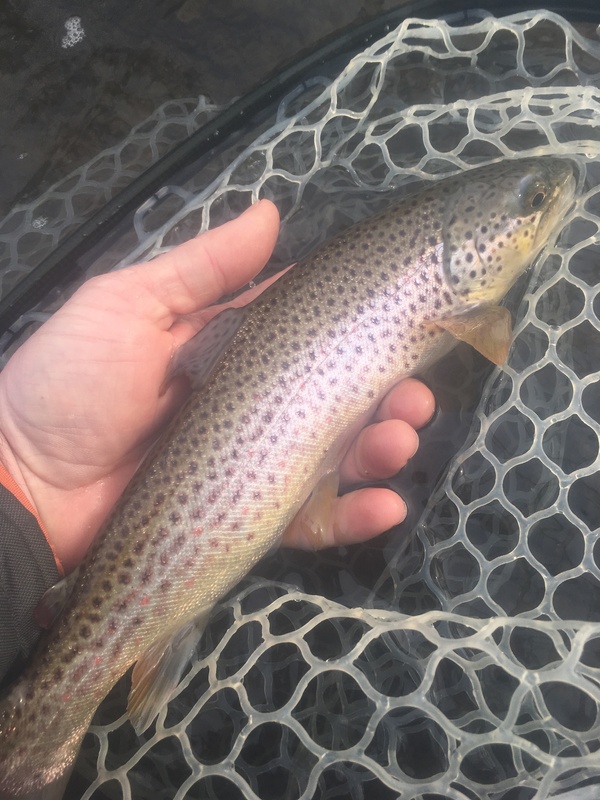 If you decide to venture out, clarity on the Otter Creek is declining due to recent snowmelt, but it would be a good time if you went out to try some junk nymphs, ie, worms, mops, stones and the like. Please use caution though, as the Creek is still rising and the shelf ice is breaking up. You don’t want to be caught out with a sizable ice chunk coming at you. We are getting primed for opening day though, now just 5 weeks until the Fly Fishing Film Tour and Otter Creek Classic 11. Fly bins are getting stocked with fresh flies and material getting placed out on the floor daily. We are also planning a rod and gear swap just before opening weekend. Look for more info to come via this report and our social media accounts. As we get out on the water more, we should have more intel as to river conditions and such. Also for the next couple of reports, I’ll be giving some early season tips on locating fish and fly selection. Until then, feel free to email any questions to dave@mmvt.com.